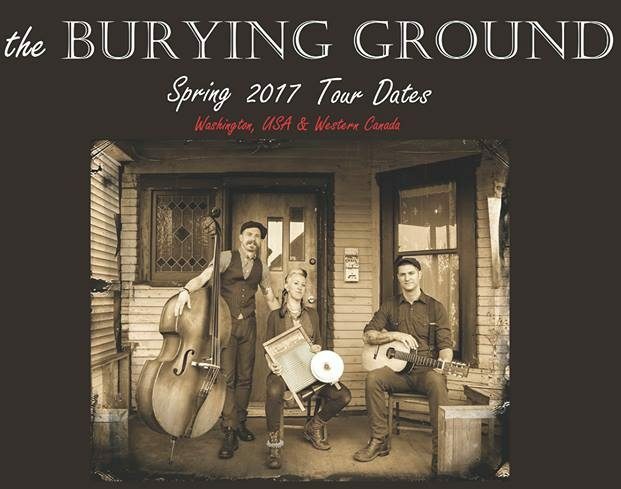 If you're looking for something to do tomorrow (June 9th) , consider checking out the The Burying Ground , playing at the Legion. They are an upbeat blues string band that brings the fire of punk to the technical prowess and distinct sounds of early blues, country and jazz masters as Blind Blake, Bessie Smith, Gary Davis, Jimmie Rodgers and many others. This trio, featuring Woody Forster on guitar and vocals, Devora Laye on washboard, saw, and vocals along with Joseph Lubinsky-Mast on upright bass, just released their newest album, and play a mix of original material alongside reinvented older songs. They strive to create a lively and gritty sound that is reminiscent of the music of the juke joints and jazz halls of the 1920s and '30s. The doors open at 8pm, with the show starting at 9pm. As well, the cover fee for this performance is $10. If you’re in the mood for blues, go check out The Burying Ground tomorrow night! 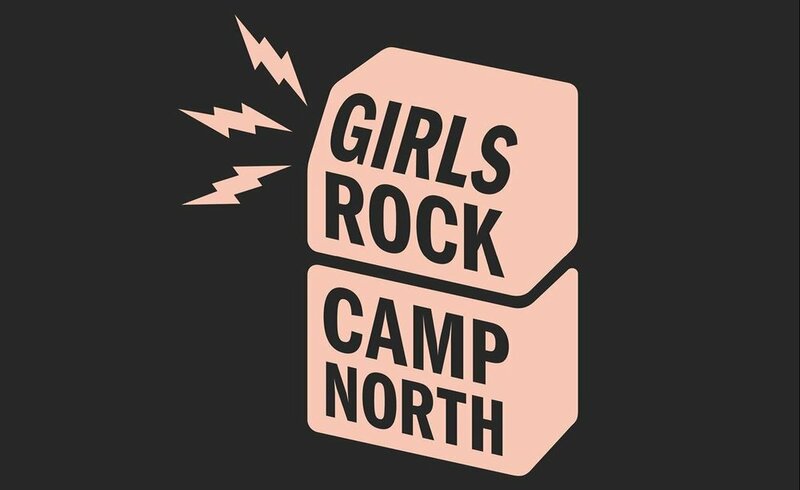 Girls Rock Camp North is going to be happening here in PG and is ready to make some noise. It is a week long camp, running from August 21st to the 25th, for female identified and non- binary youth ages 9-17. Throughout the week campers get to work on songwriting, zine and poster making,positive self-image and identity discussions, gear set-up, technical training and much more! Campers of all skill levels are welcome, whether they already play an instrument or not, and all musical preference is encouraged. Registration will be happening Saturday , June 9th at the Wilson Square Community Farmers Market from 10AM-2PM. Fees are operating on a sliding scale, from $0-$300, and the camp accepts people on a first come first serve basis. If you want to support the camp, you can check out their fundraising concert, She Shreds happening on June 23rd at 8PM. It's happening at the Omineca Arts Centre, and will feature Naomi Kavka, Sober Becky, Britt A.M., Genevieve Jade Tucker, and Kiera Dall'Osto. 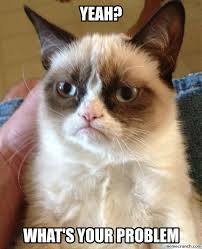 It has been a full year and then some of WYP. In this episode, the doctor goes over some of her favourite problems from the past with some new spins on the tunes! Thanks for listening so far and let's keep at 'er! Radio Mod is back to bring you the very best in vintage Rock, Pop & Mod. This time featuring bands like Rockfour, Rascals, Cardigans, Jefferson Airplane, Garbage and more. Make sure you don't miss out, and tune in! "[John Cabot] explored because he liked pie. To mark the celebration of the 500th anniversary of Cabot's expedition, both the Canadian and British governments elected Cape Bonavista, Newfoundland, as Cabot's first landing site. However, alternative theories have also been proposed. A cul-de-sac "is an inside-out roundabout." "Originally, there were only red, orange and yellow [froot] loops, but green, purple, and blue were added during the 1990s. In the UK, Froot Loops are purple, green, and orange, due to the lack of natural colourings for yellow, red, and blue, and are also larger in shape." "David Blaine and Alizee Guinochet have one daughter, who was born on January 26, 2011. At the time that Guinochet went into labor, there was a massive blizzard where they lived in New York. Due to the intense weather, no cars or taxis were on the road, so Blaine had to hail a snowplow, which transported the couple to the hospital. The snowplow then broke down, but Blaine managed to pull the baby out of his sleeve instead of giving birth at the hospital. "For more Wikipedia edits, tune in to CFUR on Tuesdays at 1pm and Saturdays at noon. Tips from Hubcap Walter this week,What a wild week! 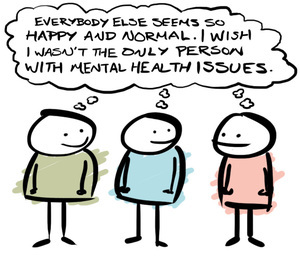 You can't get what to don't want, and you don't want what you can get, at least most of the time. Stick to the local convenience store, wherever you go. You may be surprised. Enjoy hot pizza no matter the temperature outside, it's worth it. Appreciate hot and cold running water.